Right, I may be critical about electric cars, but even I have to admit that there are uses and people for which they are perfectly fit. Like office workers that aren’t working too far from home. There are also uses for which they are absolutely unfit. Like going on vacation to Southern France: stop at a re-energising station every one hundred miles or so, wait for eight hours and do the next one hour leg. It would take a good week just to get to where you want to be. No fun. There are also people for which electric vehicles (EVs) are totally unpractical. Like police officers. Can you imagine the look on a hooded joy rider’s face after he managed to stay ahead of the coppers for half an hour when their batteries run dry? Can you imagine how any law enforcement car park would need at least eight times as many EVs as they need normal patrol cars now, just to be able to do a normal – if you ignore the fact that they’d still have to go fetch a new car every hour or so – day-long patrol duty? And can you imagine how uncle officer is going to fit two over-grown men on the backseat of a Nissan LEAF, the space of which is already compromised by the fact that the engineers needed a place to store all the batteries? Well, if you can imagine all of this, then why can’t the Portuguese police? 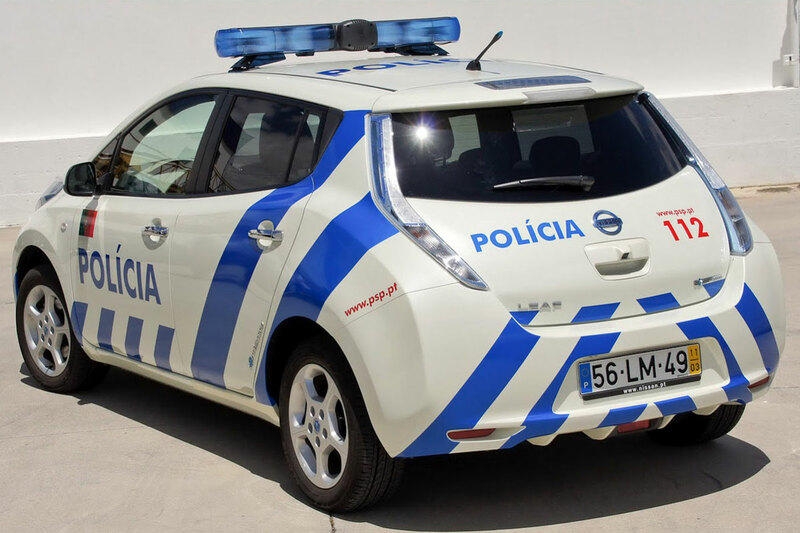 They’ve recently commissioned a batch of eight Nissan LEAFs, fitted with all the features expected on a proper police vehicle. Like flashy lights and sirens. 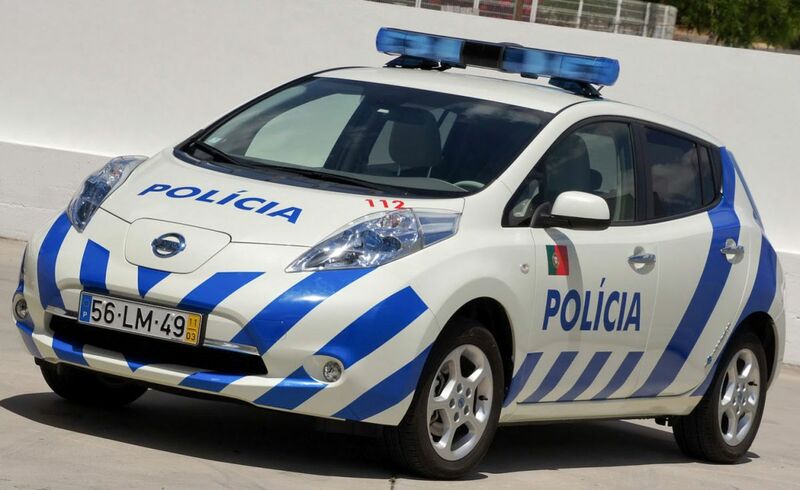 In all honesty, we have to note here that the total fleet of the Portuguese police contains around 5,000 cars, so more than anything this is likely just a PR thing. Come to think of it though, there is one police purpose I can see a LEAF suitable for: to drive to a somewhat covered road-side spot, unpack a speed camera and spend the day taking pictures. At least then the police don’t waste the environment screwing lots of people over. 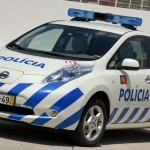 Anyway, I have to admit one thing: that police-LEAF does look incredibly cool! 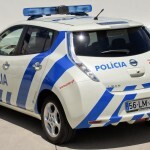 This entry was posted in News and Views and tagged car, electric car, electric cars, electric vehicles, LEAF, LS, nissan, Nissan LEAF, police officers, police vehicle, PR, seat, Southern France, speed by The Flying Dutchman. Bookmark the permalink.